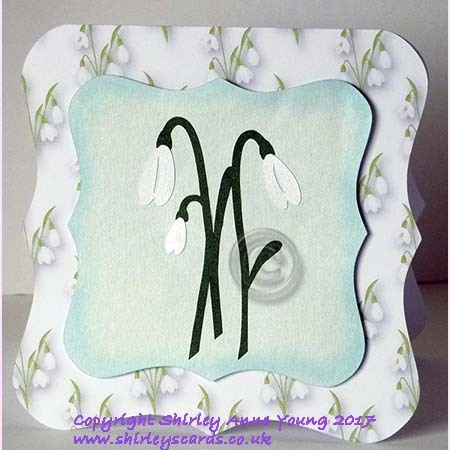 This is so beautiful, I've been looking at the dies of snowdrops and here it, as beautiful, love background paper too. Thank you so VERY much. ENJOY your holiday and the sun. merci de mettre à disposition les fichiers. De belles cartes en perspective. Merci pour le partage, ces perces-neige nous font rêver au printemps. Bonnes Vacances à vous. Lovely file, thank you for sharing. Enjoy your holiday. Hope you had a wonderful holiday Shirley and thank you for another lovely freebie.